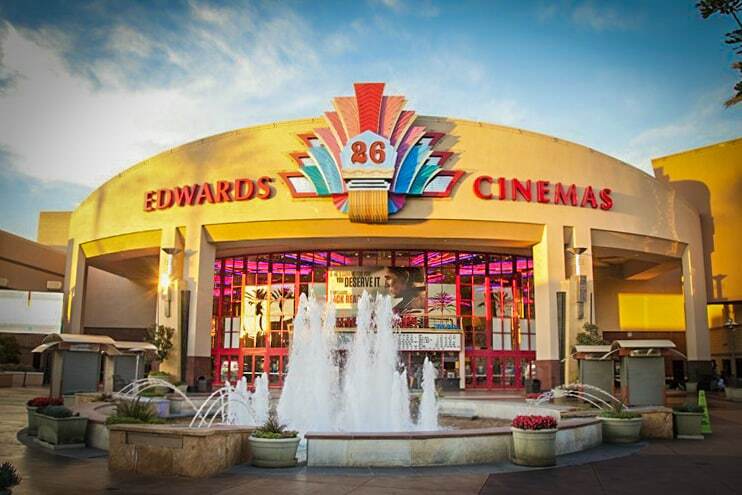 Edwards Cinemas in the Long Beach Towne Center. Belmont Shore and Downtown Long Beach have long held what has been kept from the suburbanites of East Long Beach: Full access to alcoholic libations before, during, and after cuddling with their loved ones under the glow of the silver screen. That withhold will be no longer should the Long Beach Planning Commission approve the massive, 26-theater Edwards in the Towne Center’s request serve wine and beer on-site. Following a trend that has gone national in cinemas’ attempt to keep drawing in crowds during the Streaming Age, Edwards will be aiming for a beer and wine license over a full-liquor license—meaning, unfortunately, you will still have to venture to AMC Marina Pacifica or the Cinemark at The Pike Outlets if you want straight-up spirits to go along with your cinematic experience. (Mind you, if you were forced by your child to undergo the experience of watching the corporate-sponsored trash that is The Emoji Movie or perhaps you actually chose to watch John Travolta in Gotti this past year, you would definitely understand why bourbon is needed over beer alone). This is the sole issue facing the Planning Commission this week and for those who think this is “a slow news day”-type thing for both us to write about and the commission to hear about, it is actually a really important aspect of the commission’s function. North Long Beach, for example, is riddled with liquor stores that have long been grandfathered into their locations: It holds a third of the city’s liquor stores in spite of accounting for 20 percent of the city’s population, amounting to a 3-to-1 ratio of hard liquor stores for every 10,000 residents. The Planning Commission, while not being able to unilaterally close those shops, can dictate whether the need for a new license at a new location is needed or could be detrimental to the neighborhood—and therefore help the character and overall health of a neighborhood grow. Denial or approval of these licenses is not prudishly decided but chosen by analyzing safety and access. In the case of Edwards Theatres, an analysis shows there are currently 12 liquor licenses in the Census tract where the space is located, and the area is considered a low-crime neighborhood. For that reason, staff is recommending approval of the application. The Planning Commission meeting will be held Thursday, Feb. 7 at 5 p.m. at 333 W. Ocean Blvd. in Downtown Long Beach.